​ natural build up of dirt. Do not submerge them in water. ​​ I will exchange or offer a refund if you are not satisfied with your purchase or if it is damaged in shipping. 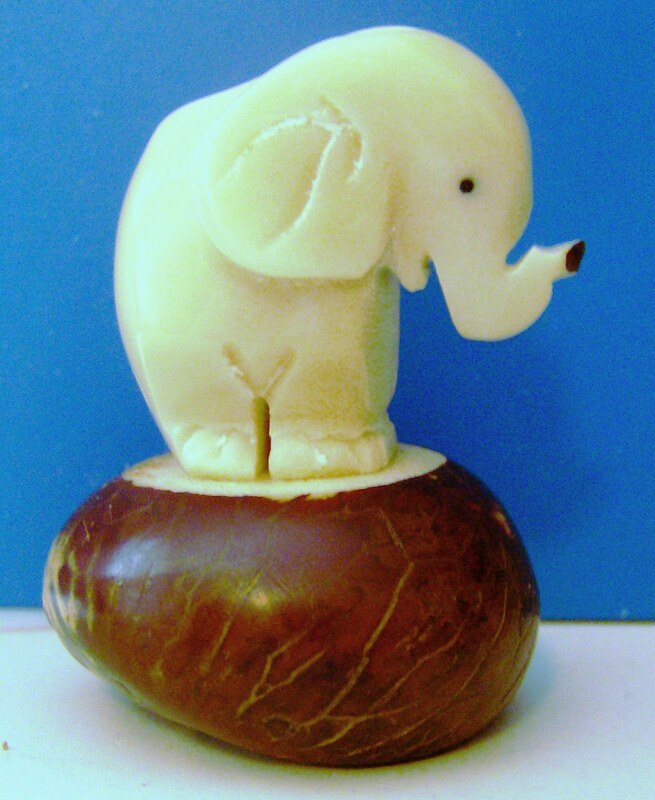 Tagua nuts are commonly known as ivory palms, ivory-nut palms or tagua palms; their scientific name means "plant elephant". This and the first two of the common names refer to the very hard white endosperm of their seeds (tagua nuts or jarina seeds), which resembles elephant ivory. 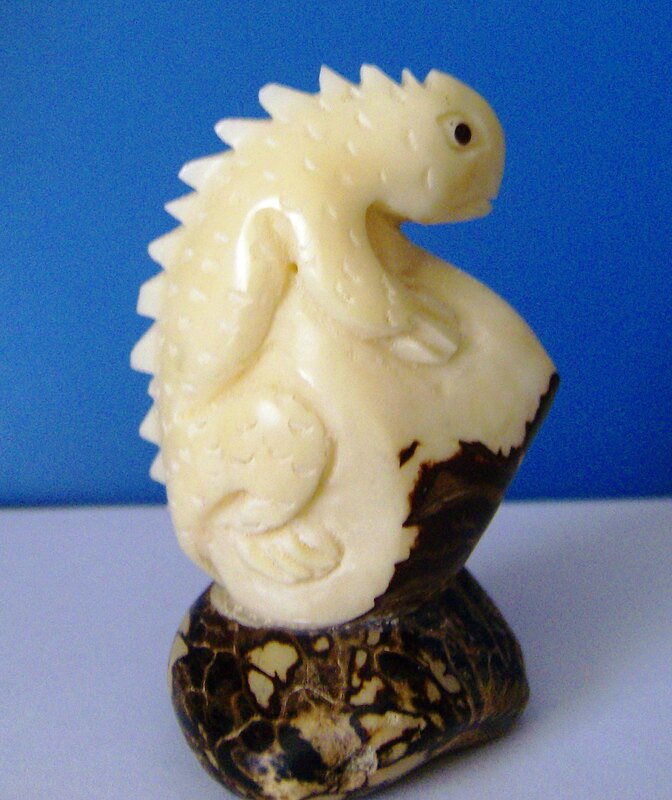 ​When dried out, it can be carved just like elephant ivory; it is often used for beads, buttons, figurines and jewelry, and can be dyed. Boxwood Netsukes are miniature sculptures that were invented in 17th-century Japan to serve a practical function (the two Japanese characters ne+tsuke mean "root" and "to attach"). Traditional Japanese garments—robes called kosode and kimono—had no pockets; however, men who wore them needed a place to store their personal belongings, such as pipes, tobacco, money, seals, or medicines. Their solution was to place such objects in containers (called sagemono) hung by cords from the robes' sashes (obi). The containers may have been pouches or small woven baskets, but the most popular were beautifully crafted boxes (inrō), which were held shut by ojime, which were sliding beads on cords. 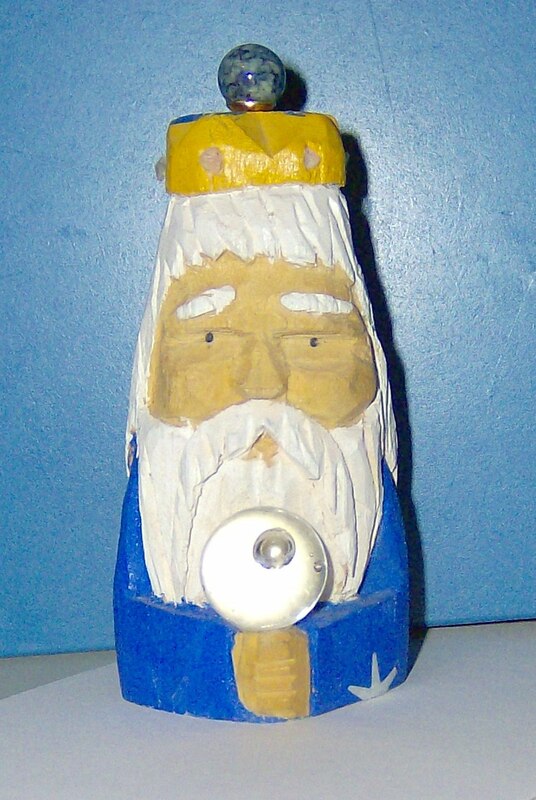 Whatever the form of the container, the fastener that secured the cord at the top of the sash was a carved, button-like toggle called a netsuke. 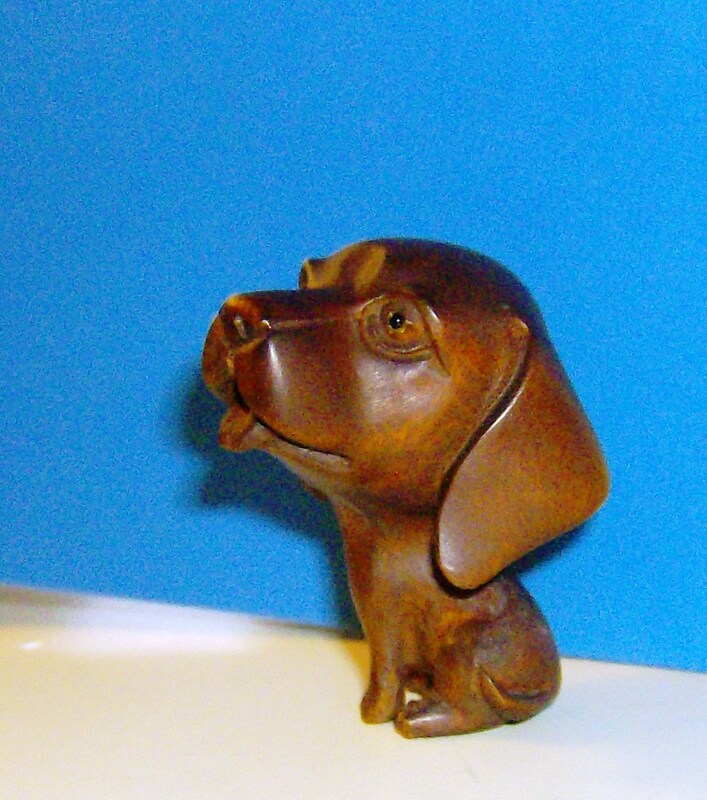 Wood carving is a form of working wood by means of a cutting tool (knife) in one hand or a chisel by two hands or with one hand on a chisel and one hand on a mallet, resulting in a wooden figure or figurine, or in the sculptural ornamentation of a wooden object. The phrase may also refer to the finished product, from individual sculptures to hand-worked mouldings composing part of a tracery. The making of sculpture in wood has been extremely widely practiced but survives much less well than the other main materials such as stone and bronze, as it is vulnerable to decay, insect damage, and fire. 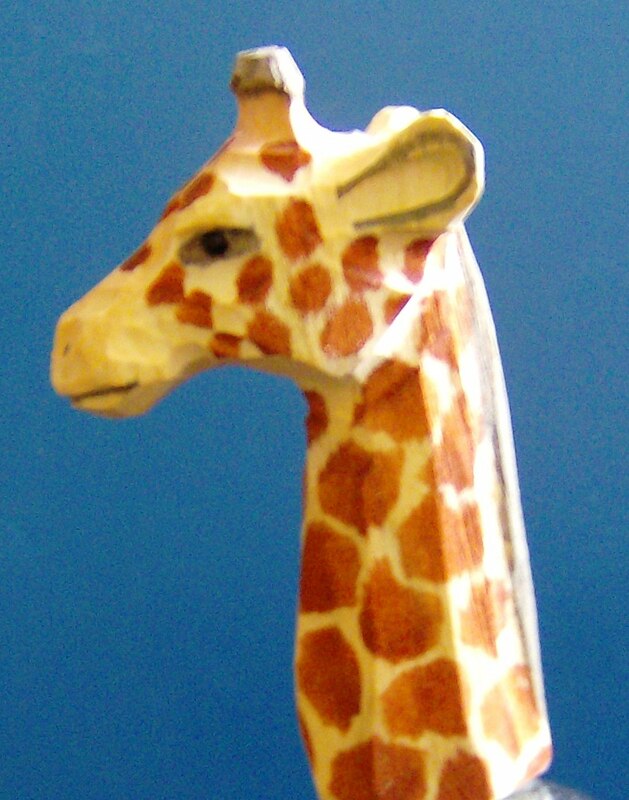 I have been carving wood since 1995 using a wide variety of different types of wood. Basswood is most notable as a wood for carving, particularly because it is commonly found in thicknesses of up to 4".